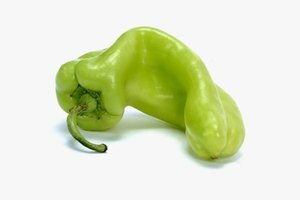 Green chili is a catch-all name that applies to several different varieties of green chili peppers, from the mild Anaheim to the smoky, medium-hot pasilla to the fiery serrano. Because of the variety to choose from, selecting a proper pepper substitution is simple. Taking the dish you're preparing into consideration, select a pepper with flavor that complements the other ingredients, keeping in mind the spiciness so it isn't overwhelming. 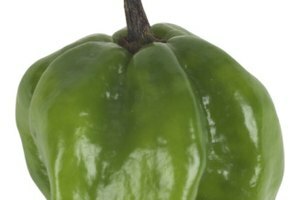 If you prefer mild green chilies, go with Anaheim, banana or poblano peppers. If you’d like to add a noticeable kick of heat but not overwhelm your dish with too much spice, try using a pasilla, or a green Fresno—red Fresnos are hotter. 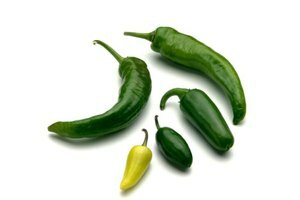 A jalapeno’s hotness can vary from medium-hot to hot, so taste test before incorporating it into your dish. 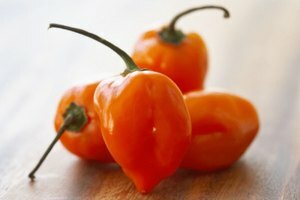 And if you do like some fire, heat things up with a serrano or Thai chili pepper. 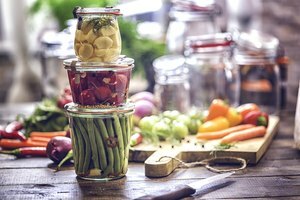 If the dish you’re making doesn't depend on the appearance or texture of green chili peppers, various spices can be used. 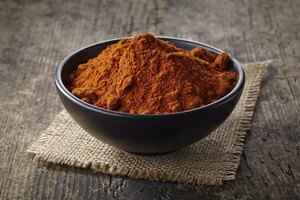 Try substituting chili powder, cayenne pepper or crushed red pepper. Begin by adding just a few dashes of these potent spices, tasting and adding more until you're satisfied with the flavor and heat level.